So when her beloved mother—abandoned and ignored by her wealthy family—suddenly dies, the scrappy twenty-two-year-old devises a plan to right this terrible wrong. With nothing to lose, she sails to New York to find the man who turned a cold shoulder to her mother’s suffering: Caroline’s grandfather. To settle the family score, Caroline infiltrates her grandfather’s privileged world, hoping to sabotage his business from the inside. But as she sets her plot in motion, she meets Jackson Montgomery, a virtuous man who is struggling to recover from a family scandal of his own. As their friendship grows, and Caroline begins to piece together the motives that led her family to turn its back, she is forced to make a decision: Should she risk everything in the name of justice? 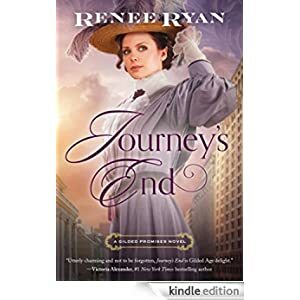 Buy this inspirational historical romance for only 99 cents today.